Our classic House Blend is a masterfully roasted medium blend coffee, delivering the delightful and lively taste coffee lovers crave, without the caffeine. 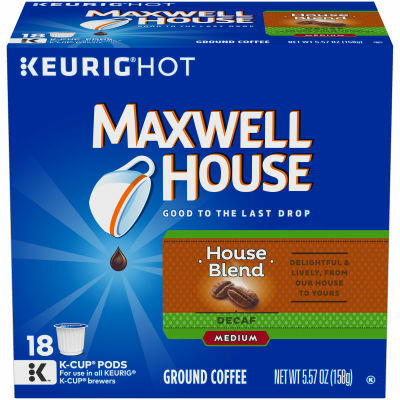 Each K-Cup pod offers the same quality coffee you would expect from any package of Maxwell House. Serving size 4 slices (33g).